Many definitions of brotherhood circulate throughout classrooms, places of worship, humanitarian shelters, sports teams, military units, fraternal organizations and elsewhere. Though the definitions may vary, they usually center on learning, friendship, giving, sharing, love, family-like relationships and a belief that no one can live his best life solely by himself or for himself. A life well lived requires support from others and the supporting of others. It requires full participation in a true brotherhood. Brotherhood, for all its meanings, has one common thread—responsibility. Members of organizations that have “true brotherhood,” as judged by themselves and those with whom they come in contact, will tell you that they have a burning desire to uphold the principles of their organization, and feels personally responsible for their experience and that of other members. Sigma Phi Epsilon defines brotherhood as the daily practice of Virtue, Diligence, and Brotherly Love and our members feel personally responsible for brotherhood. So, how does one become responsible for brotherhood? Members who are responsible for brotherhood are first responsible for themselves; second, they are responsible for their organization and community. Brotherhood becomes a daily part of their lives because of this dual commitment. Brotherhood is not endowed through ceremony or purchased with membership. Brotherhood is the culmination of taking responsibility for yourself, others, and the Fraternity. Brotherhood is a lifetime experience, and your responsibility for it goes beyond college or something to strive for at your convenience. 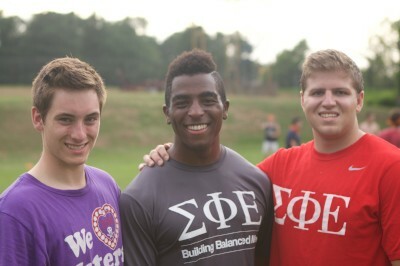 Brothers in Sigma Phi Epsilon take a vow for life, and that is what makes our Fraternity special. 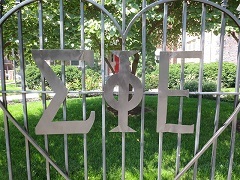 Although many years and miles may separate us, brothers in Sigma Phi Epsilon remain so based on a commitment during our collegiate years to each other and our timeless Cardinal Principles of Virtue, Diligence and Brotherly Love. Responsibility is a unique concept. It can only reside and inhere in a single individual. You may share it with others, but your portion is not diminished. You may delegate it, but it is still with you. You may disclaim it, but you cannot divest yourself of it.